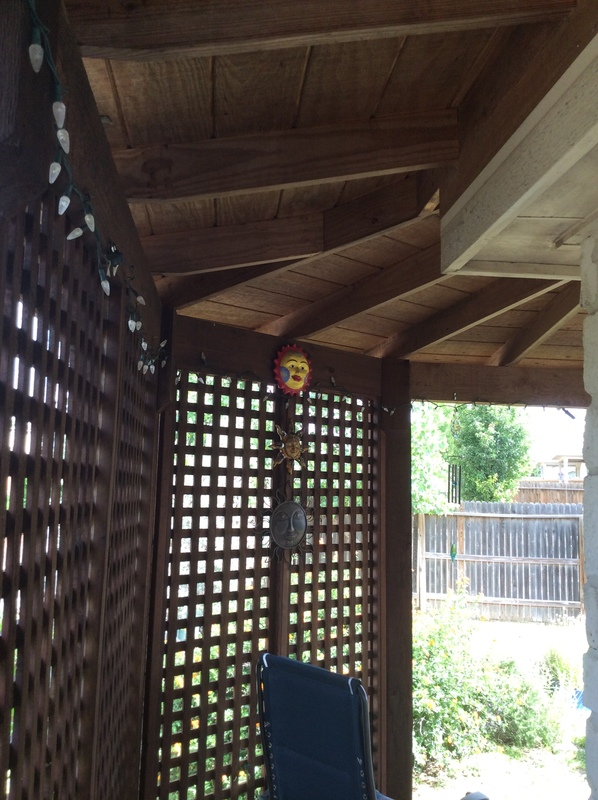 Attached are two “Spot the X, Suburban Backyard Edition” photos for your consideration. Both photos include the same American anole (Anolis carolinensis), but are taken from different angles (and the animal moved in-between). Answer at noon Chicago time. Click on photos to enlarge. This entry was written by whyevolutionistrue and posted on June 11, 2018 at 9:01 am and filed under reptiles, spot the nightjar (and other beasts), spot the ________. Bookmark the permalink. Follow any comments here with the RSS feed for this post. Both comments and trackbacks are currently closed. That might not be good news for suburban anoles! Beats me, but what a lovely gazebo, Owl! 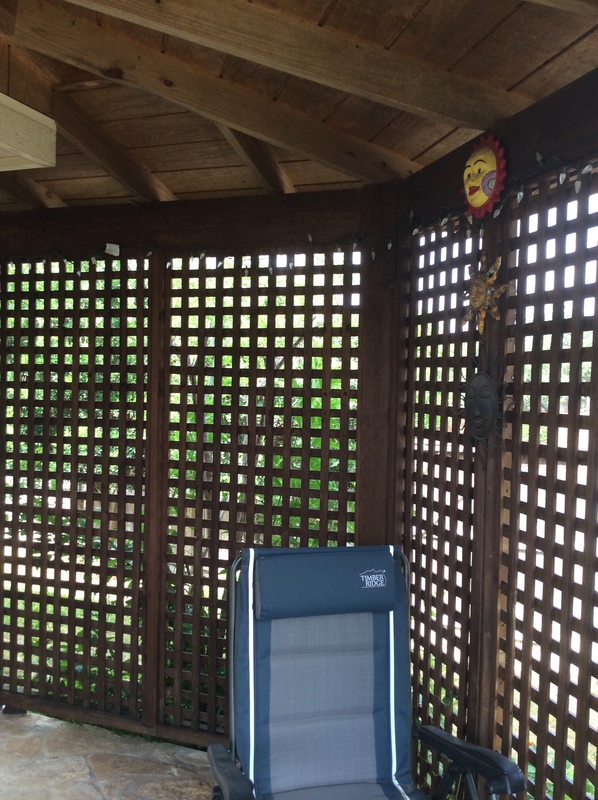 Thanks, Matt – it’s actually a patio cover on the northwest corner of my house. The stone is local, and I planted a couple of “yellow bells” (Tecoma stans) that provide some additional shade. In cooler weather I can sit out there and read, knit, or spin with my drop spindles. Got it. But still fun! I misread the title and thought I was going see a picture of Donald Trump when I clicked on the link. A rather groovy space! Looks like an 8-sided structure with 1/4 [90 degrees] missing to plug it into the corner of the house ~ (brick wall & square overhang to extreme right of top pic – overhang also in left of bottom pic). Stone floor, white fairy lights, decorative sun thingies, lizards on tap & a convenient cocktail cabinet – perfect. Lizard exactly where I’d expect it. Cabinet more elusive. I’m afraid that the neighborhood squirrels, raccoons, and possums might break into a cocktail cabinet on the patio. Ceiling Cat knows that they made off with almost all of the cantaloupes in my garden one year. Haven’t tried growing them again, since they attracted all the critters within a mile radius (at least!). Well, what could possibly go wrong with drunk squirrels, raccoons, and possums? I agree with everyone, barn owl–very cool personal space!